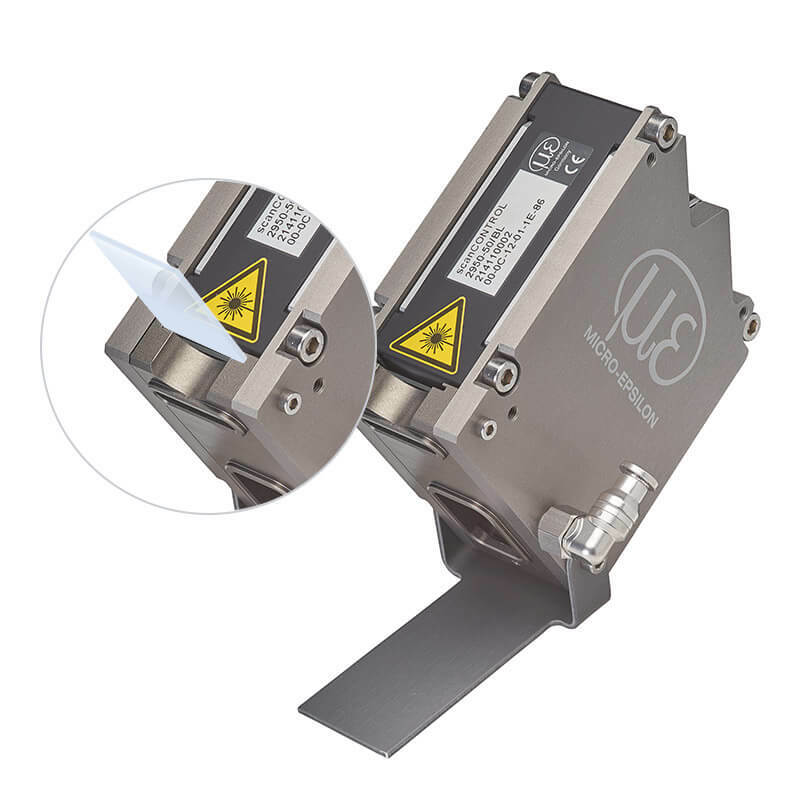 In order to use the scanCONTROL sensors under harsh conditions and in high, ambient temperatures, Micro-Epsilon developed special protection and cooling housings. The protection housing with blow-out system is suitable for all scanCONTROL 26xx/29xx sensors with measuring ranges of 25, 50 and 100mm. It protects the sensor from mechanical damage and is used when the scanner is applied under extremely harsh conditions. If the integrated blow-out system is fed with compressed air, dirt such as dust or chipping are removed and cleaning intervals are extended. The protective window can be easily replaced at low cost. 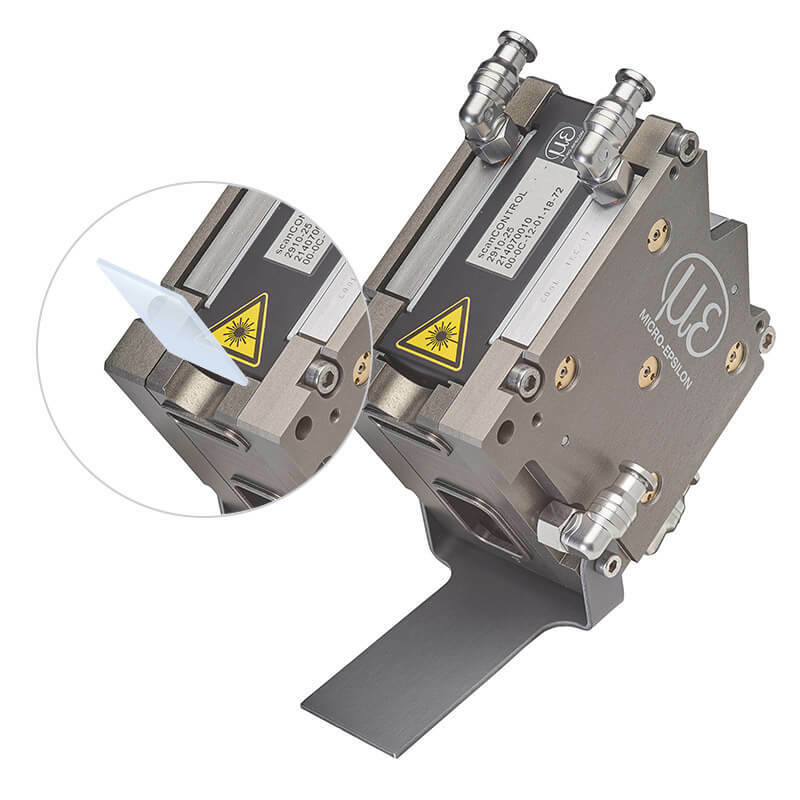 The protection housing with blow-out system and water cooling is suitable for all scanCONTROL 26xx / 29xx sensors with measuring ranges of 25, 50 and 100mm. This model protects the sensor from mechanical damages but also from high ambient temperatures due to cooling liquid in the cooling loops which are integrated in the housing side parts. On the other hand, the sensor can be heated using a warm medium in case of low outdoor temperatures. The blow-out system removes foreign bodies from the scanner with compressed air. If necessary, the protective window can be easily replaced with little effort.